Man of Steel completely demolishes any kind of preconceptions held over from the Reeve days, though. That is if you're even old enough to owe any fealty to those films. Director Zack Snyder (Watchmen) doesn't necessarily ignore Donner's iconic film, which redefined the now 75-year-old Superman for my generation. But Man of Steel doesn't feel as beholden to Donner's movie as the last attempt at rebooting the character, Superman Returns, obviously did. Rather than constricting Man of Steel with reverence to only one source, Snyder pays tribute to the character by distilling all that is best of recent interpretations—the epic sprawl of Donner's, the logic of John Byrne's comic book reinvention The Man of Steel, and the heart of Mark Waid and Leinil Francis Yu's Superman: Birthright—into a new telling that makes this most outmoded of superheroes, a square-jawed, stoic, and decent alien messiah, a hero for our time. Henry Cavill may be a touch too angst-stricken as the Clark Kent/Kal-El, but who wouldn't be considering the heavy burden placed on his shoulders? 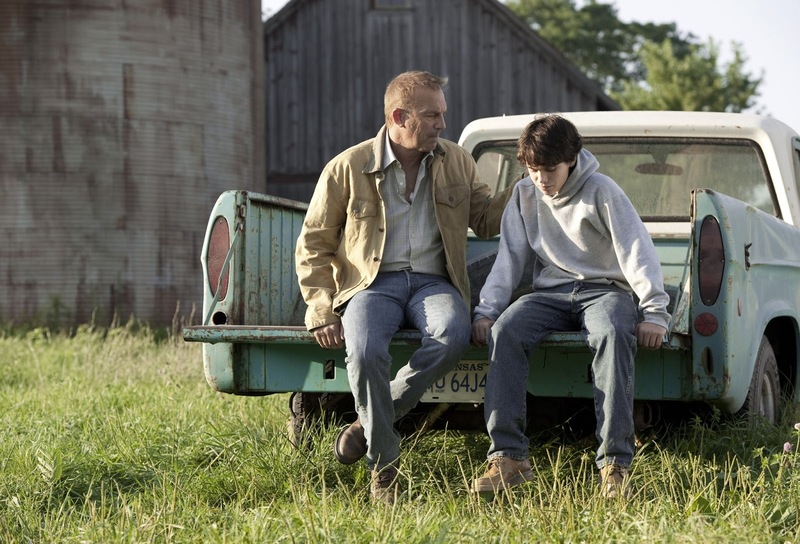 Man of Steel is a perfect fit for this Father's Day weekend because it is the story about a man caught between two fathers, Kryptonian Jor-El (Russell Crowe, who has more to do here than Brando ever did) and adoptive human Jonathan (Kevin Costner). Jor-El literally invests all of his dying planet's hopes for tomorrow in baby Kal-El before sending him out into space in a vessel not unlike the one that sent Moses down the Nile. Jonathan fears that any display of Clark's near infinite power will lead to humanity's rejection of him, destroying our notions of God and religion. All of this spirituality is left unspoken, a subject too ponderous to cover in a superhero movie (as Superman Returns demonstrated). But the allusions are plain to see. 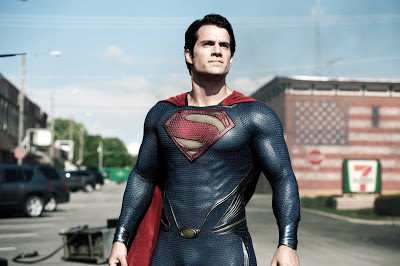 Superman is positioned in Christ-like poses throughout Man of Steel, backlit like some divine seraph at times and, in what must be the most obvious connection to Jesus, even pointedly tells an interrogating Lois Lane (Amy Adams) that he is 33 years old. 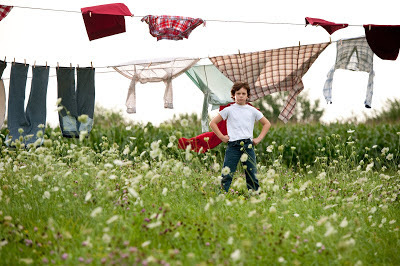 Though Man of Steel goes to great lengths to illustrate the torment Clark went through as he came of age—tortured by the unexpected onset of his special abilities at an early age (just imagine how sudden uncontrollable X-ray vision and super-hearing would mess with your head), unable to defend himself against bullies for fear of killing them with one punch, constantly having to hide what makes him special in order to win his father's approval—he realizes how easy a time he's had of it when he finally comes across the first opponents that can best him. These are a band of renegade Kryptonian soldiers led by a former compatriot of Jor-El's, the fanatical General Zod (Michael Shannon). Zod is born and bred, like all Kryptonians, to fulfill a single purpose in life. His is to protect Krypton. He has come to Earth to retrieve the future of Krypton unwittingly entrusted to Kal-El by his father. And if it takes Earth's annihilation to do so Zod is unconcerned about it, so long as Krypton lives. It's an inspired motivation for what has previously been an ill-defined villain. And it instantly divides Superman's allegiances to each of his fathers, cruelly forcing him to decide between Krypton's future or Earth's. The performances by the supporting cast are top-notch. Shannon's complicated Zod is a star-making role. Adams gets the first Lois who one can actually believe would earn Superman's respect as a formidable equal. In fact, though they are certainly diminished roles in this male-oriented actioner, all of the women here are strongly written, from the more active role Kryptonian mom Lara (Ayelet Zurer) plays in discovering Earth to how Martha Kent (Diane Lane) teaches young Clark to hone his emerging powers in order to avoid insanity. Dead as he is, Crowe's Jor-El is as actively involved in shaping his son's future as his human parents are. But my highest praise goes to Costner as Jonathan Kent. Costner is often (and wrongly in my opinion) accused of limited range or phoning in his performance. But as Clark's father, he epitomizes the decency and morality which informs the man Clark ultimately becomes. Costner communicates both the pain and pride he feels whenever he must demand his dutiful son selfishly withhold his life-saving abilities from the rest of the world in the interest of self-preservation, every parent's concern for their child. 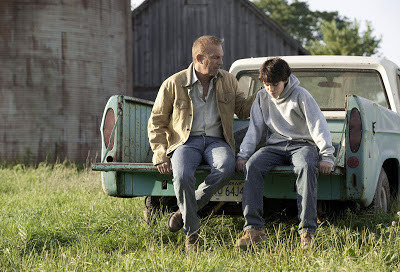 To say that Costner could garner an Oscar nomination for this performance if Warner campaigned for it is not overselling his work in Man of Steel. The weakest link in the stirring Man of Steel may be Cavill himself, who still hasn't convinced me he can totally pull off the Last Son of Krypton with the same aplomb a younger Reeve did. There's a bit of self-consciousness to the way he holds himself in the blue tights, a challenge any actor that takes the role on must contend with. But it might just be an inherent aspect of this novice version. Cavill manages to hold himself well enough emotionally against some titanic scene-stealers and impressive pyrotechnics throughout Snyder's accomplished retelling. So about Man of Steel, let's say, "You'll believe a Superman can cry." I look forward to the inevitable sequel to see what else this Man of Tomorrow can do. I must be about the only person who didn't care that much for the original. I thought Reeves overplayed the geekiness of Clark Kent, and Hackman and Beaty were a little campy. The one successful part was the opening 30 minutes or so with Glenn Ford, after that I thought it was just so so. Patrick, I don't entirely disagree with you on the tone concerning Luthor and his associates. But that was the jocular kind of camp that characterized that kind of movie in 1978 (see the Bond films' handling of Jaws). As for Kent, it's unfair to pin that entirely on Reeve. At the time, Kent was portrayed as a bumbler on the page as well. The movies probably reinforced the image somewhat, but cinema usually just exaggerates the subject it's depicting to make it suitably larger than life. I liked your thoughtful and personal review of 'Man of Steel' and how you related the original films to your own journey through film. I think that the first 2/3 of the film are very strong. I'm so glad that you, Glenn Kenny, and some other critics I respect and follow recognized Costner's excellent performance. I think his work in the movie might be its strongest element. The last 1/3 of the movie was very weak in my opinion. I don't like how so many comic book movies now conclude with the bad guy decimating a major U.S. city. In addition to the endless CGI, those kind of conclusions never have the good guy outsmarting the bad guy- just being better at violence than him, which is rather lazy and generic. Aden, I've thought long and hard about the battle royale at the end of MAN OF STEEL. After seeing the movie a second time, I've come to the conclusion that it's probably setting up the motivation for Lex Luthor. After Goyer, Nolan and Snyder did such a great job of making Zod multi-dimensional, I have to believe they want to carry that through to Luthor, whose existence is hinted at during the protracted fight between Zod and Supes. Can't you imagine Luthor as some Trump-like magnate whose enmity for Superman stems from his view of the hero not as a savior but as a threat and a magnet for future Metropolis-demolishing nemeses like Zod and his soldiers? The final battle would serve as the inciting situation that prompts Luthor to target Superman for eventual elimination.